Here's another hot deal worth checking out. 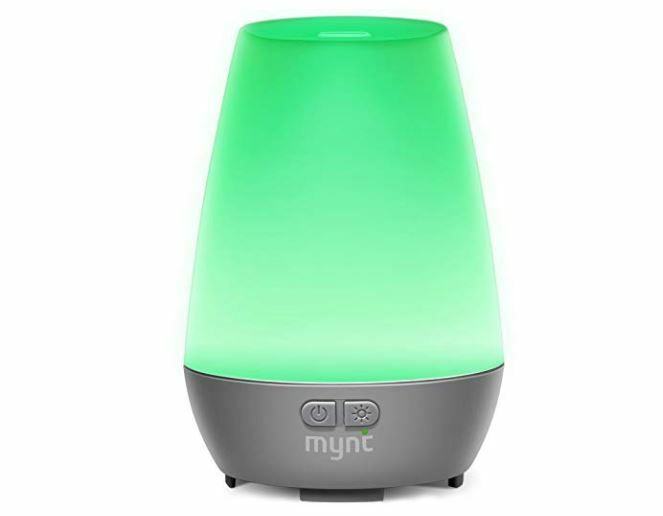 This Mynt Essential Oil Diffuser is on sale for $9.09 as an add-on item (Retail $14.99). -Mist For Longer: 2 settings ensure unrivaled refreshment – choose from continual mist (4.5+ hours) or intermittent (10+ hours). Create the perfect ambiance with 7 colors, simultaneously humidifying air and fighting household odors. -Whisper Quiet: Engineered to run quieter than standard diffusers, averaging under 30db. Rest soundly at night and wake up with your favorite fragrance, with no annoying beeps in between. -Superior Design: An anti-condensation build means the internal tank counters condensation and drips. With a smaller base, minimalist design and mood enhancing lights, the diffuser is perfect for use in practically every room. -Safety First: BPA-Free and FDA approved materials mean the diffuser is made from totally non-toxic materials, delivering mist fit for your family and pets. Mist automatically shuts off once the water tank is empty. You can also get this URPOWER 2nd Version Essential Oil Diffuser on sale today only for $14.99 Shipped (Retail $24.99) and this Healing Solutions Best Blends Essential Oil Set (Set of 6) on sale for $10.59 Shipped when you clip the $2 off coupon.